Without Shuttles, Astronauts' Careers May Stall Space shuttle Discovery is scheduled to launch early Monday. After this mission, NASA will have just three flights left before the shuttles are slated to become museum exhibits. 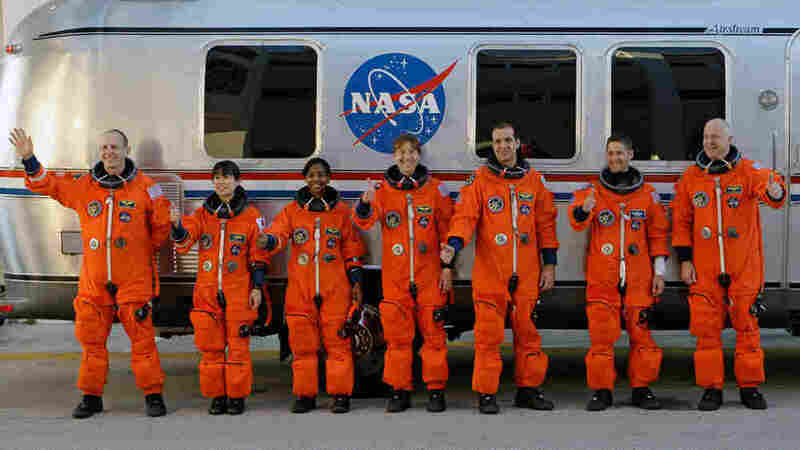 What will NASA's elite astronaut corps do after the agency mothballs its aging space shuttles? The crew of the space shuttle Discovery is set to launch Monday morning. Where will they go after the mission ends? Chris Ferguson is a former space shuttle commander. Now he moonlights as a drummer for a Houston-based astronaut rock band. "Perhaps we'll have some more time to practice here once the shuttle program comes to a slow end," he says. It's unclear what else the future may bring for NASA's elite astronaut corps after the agency mothballs its aging space shuttles in the coming months. Ferguson's day job is deputy chief of NASA's astronaut office. He says that about a half-dozen astronauts typically leave the agency each year to do things like teach, work for the government or take aerospace industry jobs. After the shuttles stop flying, Ferguson says, "I would anticipate we'll see a few extra folks over and above our normal attrition rate might seek employment elsewhere." Space shuttle Discovery is scheduled to launch early Monday. After this mission, NASA will have just three flights left before the shuttles are slated to become museum exhibits. Though the agency won't have spaceships, it will still have a lot of astronauts. 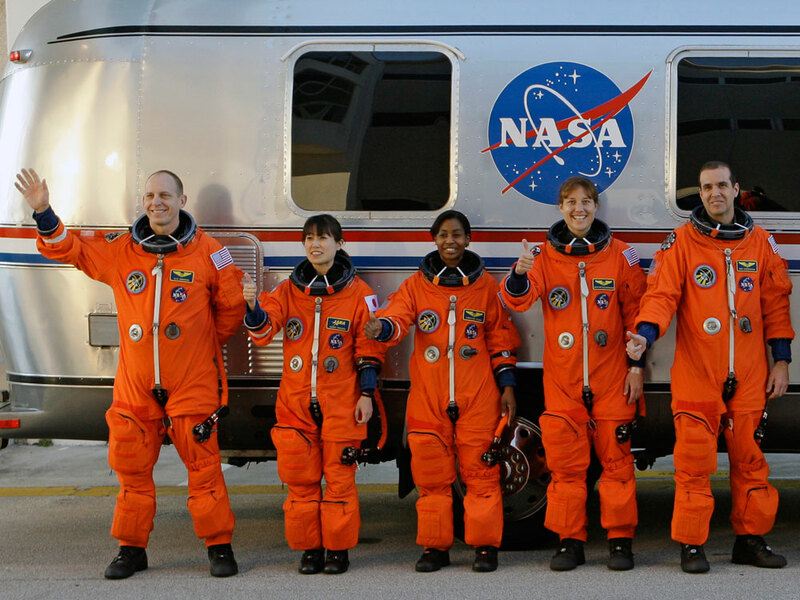 NASA currently has about 80 active astronauts, as well as nine new astronaut candidates hired last year. There will be fewer missions after the shuttle program ends, and those will be long-duration stays at the space station. The only way to get up to the station will be in a cramped Russian Soyuz capsule. NASA had been designing and building a new system of rockets and space capsules, called Constellation, which intended to take astronauts up to the station and eventually on to the moon. But the Obama administration wants to cancel that program, saying it was behind schedule and had been too underfunded to meet its goals. Instead, the administration would rely on private companies to build new astronaut taxis to low Earth orbit, while NASA focused on developing technologies for going far out into the solar system. Many in Congress are fighting that plan. "It's a very tenuous time for everybody here," Ferguson says. "This is a very large organization and it doesn't turn very quickly, kind of like a large ship. It just takes awhile to make a 180-degree turn." He says "there's a little apprehension" as people wonder about their future. But they also are concerned about what will happen to all the expertise at NASA that's allowed America to put people into space. "It's certainly not an easy thing to do, and we want to make sure that we preserve that capability and that knowledge, you know, for future generations and whoever ultimately does take us up to the International Space Station and hopefully beyond low-Earth orbit one day," Ferguson says. This isn't the first time NASA has had to make a big break with the past. When the Apollo program ended, astronauts had to wait years before the brand new space shuttles were ready to fly. But the whole situation was different back then, according to Roger Launius, a space historian at the Smithsonian's National Air and Space Museum in Washington, D.C.
"There's uncertainty that's in the system today that wasn't necessarily there in the 1970s," Launius explains. "Even before the end of the Apollo program, NASA had an approved, follow-on program — the space shuttle — and a firm schedule for getting it completed." These days, no one knows what NASA will be doing next. Meanwhile, private companies are moving forward with their efforts — raising the possibility of not just commercial space taxis, but also astronauts for hire. NASA administrator and former astronaut Charlie Bolden talked about that prospect when he visited Kennedy Space Center in Florida earlier this year, saying it would be a different approach for NASA to rent not just the space vehicle, but also a private crew of astronauts to go with it. "We need to have the discussion of how important is it to have a career astronaut contingent, as opposed to none," Bolden said. He said that NASA's international partners like the idea of an elite corps, and that he doubted some random person could quickly be trained to perform at the same level as NASA astronauts, who have devoted their lives to preparing for work in space. "We need to have the discussion of what the future — the next generation of astronauts — will be like," Bolden said. That's why the administration's proposed new budget for NASA says the agency should have the National Research Council do an independent review of the astronaut corps to look at what the role and size of that corps should be after the shuttle retires.